‘The number of the months according to Allah is twelve months (mentioned) in the book of Allah on the day in which He created heavens and the earth. Among these (twelve months) there are four sanctified’. السنة اثنا عشر شهرا أربعة حرم، ثلاث متواليات ذوالقعدة، وذوالحجة، والمحرم، ورجب. One year consists of twelve months, of which four are sanctified months, three of them are in sequence; Zul-Qa’dah, Zul-Hijjah, Muharram, and the fourth is Rajab. The specific mention of these four months does not mean that any other month has no sanctity, because the month of Ramadan is admittedly the most sancti­fied month in the year. But these four months were specifically termed as sanctified months for the simple reason that their sanctity was accepted even by the pagans of Makkah. In fact, every month, out of the twelve, is original­ly equal to the other, and there is no inherent sanctity which may be attributed to one of them in comparison to other months. When Allah Almighty chooses a par­ticular time for His special blessings, then it acquires sanctity out of His grace. Thus, the sanctity of these four months was recog­nized right from the days of Sayyidna Ibrahim. Since the Pagans of Makkah attributed themselves to Sayyidna Ibrahim they observed the sancti­ty of these four months and despite their frequent tri­bal battles, they held it unlawful to fight in these months. In the Shari’ah of our Holy Prophet e the sanctity of these months was upheld and the Holy Qur’an referred to them as the “sanctified months”. The month of Muharram has certain other charac­teristics peculiar to it which are specified below. 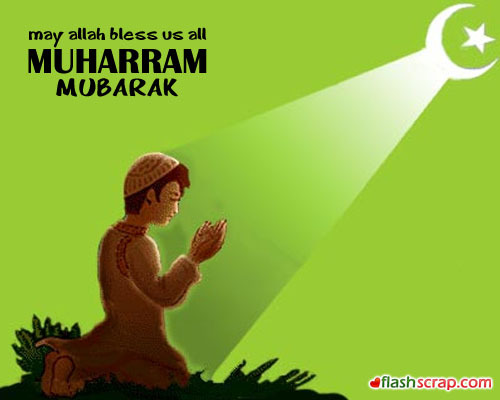 The best fasts after the fasts of Ramadan are those of the month of Muharram. Although the fasts of the month of Muharram are not obligatory, yet, the one who fasts in these days out of his own will and choice is entitled to a great reward by Allah Almighty. The Hadith cited above signifies that the fasts of the month of Muharram are most rewardable ones among the Nafl fasts i.e. the fasts one observes out of his own choice without being obligato­ry on him. The hadith does not mean that the award prom­ised for fasts of Muharram can be achieved only by fasting for the whole month. On the contrary, each fast during this month has merit. Therefore, one should avail of this opportunity as much as he can. Although the month of Muharram is a sanctified month as a whole, yet, the 10th day of Muharram is the most sacred among all its days. The day is Named Ashurah’. When the Holy Prophet came to Madinah, he fasted on the day of ‘Ashura’ and directed the people to fast it. But when the fasts of Ramadan were made obligatory, the obligation of fasting was confined to Ramadan and the obligatory nature of the fast of ‘Ashura’ was abandoned, One can fast on this day, if he so wills, or can avoid fasting, if he so wills. In short, it is established through a number of au­thentic ahadith that fasting on the day of ‘Ashura’ is Sunnah of the Holy Prophet and makes one entitled to a great reward. According to another hadith, it is more advisable that the fast of Ashura should either be prefixed or suffixed by another fast. It means that one should fast two days: the 9th and 10th of Muharram or the 10th and llth of it. The reason of this additional fast as mentioned by the Holy Prophet is that the Jews used to fast on the day of ‘Ashura alone, and the Holy Prophet wanted to distinguish the Islamic-way of fasting from that of Jews. Therefore, he advised the Muslims to add another fast to that of Ashura’. Some traditions signify another feature of the day of ‘Ashura, According to these traditions one should be more generous to his family by providing more food to them on this day as compared to other days. These traditions are not very authentic according to the science of hadith. Yet, some Scholars like Baihaqi and Ibn Hibban have accepted them as reliable. This is the day in which Ibrahim born. This is the day in which Allah accepted the repentance of Sayyidna Adam. Some people take it as Sunnah to prepare a partic­ular type of meal in the day of ‘Ashura’. This practice, too, has no basis in the authentic Islamic sources. Some other people attribute the sanctity of ‘Ashura’ to the martyrdom of Sayyidna Husain during his battle with the Syrian army. No doubt, the martyrdom of Sayyidna Husain is one of the most tragic episodes of our history. Yet, the sancti­ty of ‘Ashura’ cannot be ascribed to this event for the simple reason that the sanctity of Ashura’ was estab­lished during the days of the Holy Prophet much earlier than the birth of Sayyidna Husain. On the contrary, it is one of the merits of Sayyidna Husain that his martyrdom took place on the day of ‘Ashura’.Another misconception about the month of Muharram is that it is an evil or unlucky month, for Sayyid­na Husain was killed in it. It is for this misconception that people avoid holding marriage ceremonies in the month of Muharram. This is again a baseless concept which is contrary to the express teachings of the Holy Qur’an and theSunnah. Such superstitions have been totally negated by the Holy Prophet e. If the death of an eminent person in a particular day renders that day unlucky for all times to come, one can hardly find a day, free from this bad luck, out of 365 days of the whole year, because each and every day has a history of the demise of some eminent person. The Holy Qur’an and the Sunnah of the Holy Prophet e have made us free from such superstitious beliefs, and they should deserve no attention. It is evident from this advice of Sayyidna Husain that this type of mourning is condemned even by the blessed person for the memory of whom these mourning ceremonies are held. Every Muslim should avoid this practice and abide by the teachings of the Holy Prophet e and his beloved grand child Sayyidna Husain.